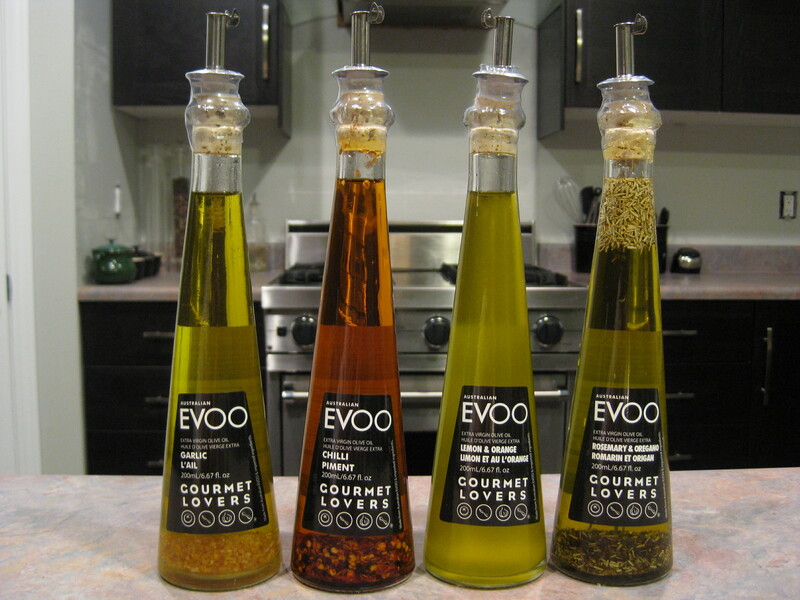 1) Flavored Oils – an excellent way to add subtle flavors to the simplest dishes. Costco has a beautiful, but very poorly designed, package by an Australian brand called Gourmet Lovers. 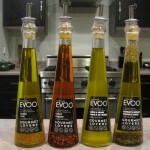 For $19.49 you get 4 bottles of extra virgin olive oil infused with Lemon & Orange, Rosemary & Oregano, Chili, and Garlic. Throw together a simple salad of mesclun greens, red onions, tomatoes, fresh bocconcini with a drizzle of rosemary and oregano flavored oil. Or brush the oil onto slices of French baguette or pita bread before toasting it in the oven. It will add an enticing fragrance to otherwise plain bread. 2) Phyllo Dough– I used to be scared of phyllo dough. Yes it’s fragile, yes it tears easy, and yes you have to work quickly with it, but in the end all these paranoid miniscule mistakes are covered up by each successive layer of dough. I love that almost anything, from savory to sweet, can be wrapped in phyllo and baked in the oven, but my favorite (and easiest) hors d’œuvre is Brie wrapped in phyllo. Buy a wheel of Brie, wrap it in about 4-6 sheets of phyllo (depending on how much pastry you prefer) brushed with melted butter, place in the oven and when the dough turns golden brown you have an elegant looking appetizer. Serve with sliced baguette, jalapeño jelly and voila! For dessert, place a dollop of jam or pie filling with chopped chocolate, toasted nuts or shredded coconut, wrap in triangles and bake. Frozen phyllo dough can be found at most grocery stores. 3) Dips– a must-have condiment at any dinner party. Try to offer a variety such as hot, cold, creamy or chutney (salsa, tapenade). Avoid dips from large grocery stores like M&M Meat Shop and Sobeys, and head towards the Farmers Market. Not only can you taste what you are purchasing, but it has a homemade touch to it. I recommend The Happy Camel and Dip-Sea Chicks, both are located at the Old Strathcona Farmers Market. 4) Charcuterie– there is nothing wrong with serving sausages, pâtés, cured meats and head cheese, as long as it is good quality. 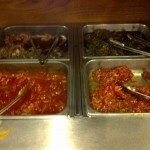 The Italian Centre is an excellent starting point where they even offer party platters at the deli counter. If you have a local butcher, that’s even better. Entertaining can be stressful, and not many of us see it as therapeutic relief. Remember that sometimes simplicity is bliss, and not everything has to be incredibly fancy or over-the-top. Beware of any food allergies your guests may have, and never bite off more than you can chew. Your friends and family will appreciate whatever you put on the table, and the last thing they want to see is a stressed out host or hostess. Happy entertaining! Ginseng Sushi and BBQ is a meat lover’s heaven. 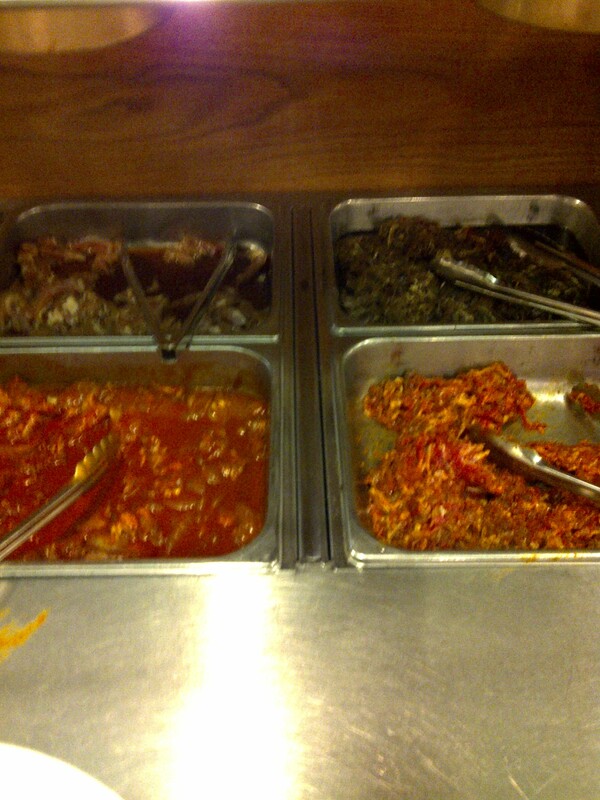 For $29 per person, you can indulge yourself in an all-you-can-eat feast of tantalizingly marinated Korean meats. The only catch is, you have to cook it yourself. 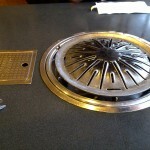 At Ginseng, the selection of food is more than decent. From the marinated meats, you can choose from the classic bulgogi (bbq beef), galbi gui (bbq beef short ribs), dahk galbi (spicy chicken), daeji bulgogi (spicy pork), and jumulleok (beef in sesame oil). 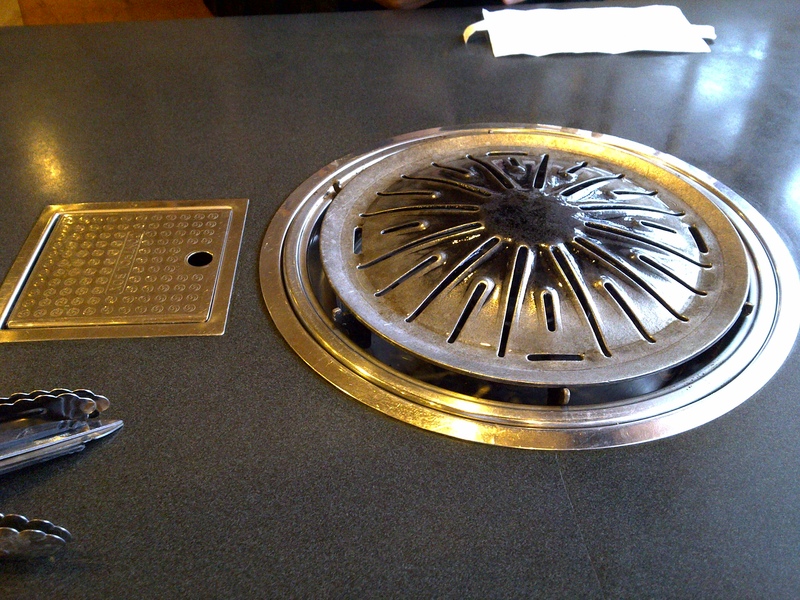 For unmarinated, there is samgyeopsal (pork belly – an unsalted and non smoked version of bacon with larger amounts of fat), baby squid, mussels, and vegetables. Kim chi, sukju namul (bean sprout salad), California rolls, soup, fried rice, deep-fried dumplings, and Shanghai noodles (yes, I’m not really sure either how that ended up there) will help change things up when you need a rest from all the meat. Service is great. We were offered additional condiments, aside from the soy sauce and hot sauce, of bean paste, sliced jalapenos and garlic, and lettuce to eat the “Korean way” by wrapping it together with rice, kimchi and meat. Our grill top was also changed a couple times when the sugar from the marinade started to burn and char. The only thing missing to make it a perfect meal is dessert.